MerGeo is a Seattle-based company that produces both private and public events that promote exploration of the outdoors, whether wildland or urban. From four kilometer trail runs to 24-hour navigation races, we pride ourselves on providing opportunities for beginners to engage with the outdoors, while also creating opportunities for veterans to challenge themselves. To inquire about private or contracted events, contact Events@MerGeo.com or fill out the form below. Sample some of Washington's most beautiful trails! Northwest Trail Runs events offer a gamut of trail run distances and venues, from four kilometer jaunts in Seattle parks, to 100-kilometer ultra runs in rugged scabland terrain. All Northwest Trail Run events feature courses designed to be fun, scenic, and interesting, with the runner experience in mind. Experience the scenic rewards of travelling off-trail to find checkpoints using only map and compass! 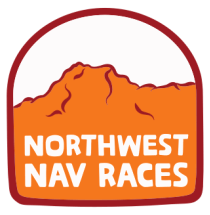 Northwest Nav Races produces navigation events (also known as orienteering or rogaining events) from 2 hours to 24 hours in unique and interesting terrain all over Washington State. Northwest Nav Races also prides itself on being an educational resource by producing hands-on practical navigation clinics, both public and private. Turn the neighborhood into an adventure! 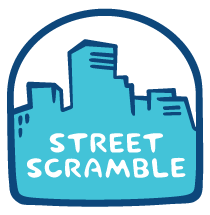 Street Scramble is an all-ages challenge to find as many checkpoints as you can with 90 minutes or 3 hours. Whether you are on foot or bike, fast or slow, solo or in a team, Street Scramble will show you all the fun niches in the neighborhood. Street Scramble is also a fantastic team-building tool, and is also offered as a private or contracted event.